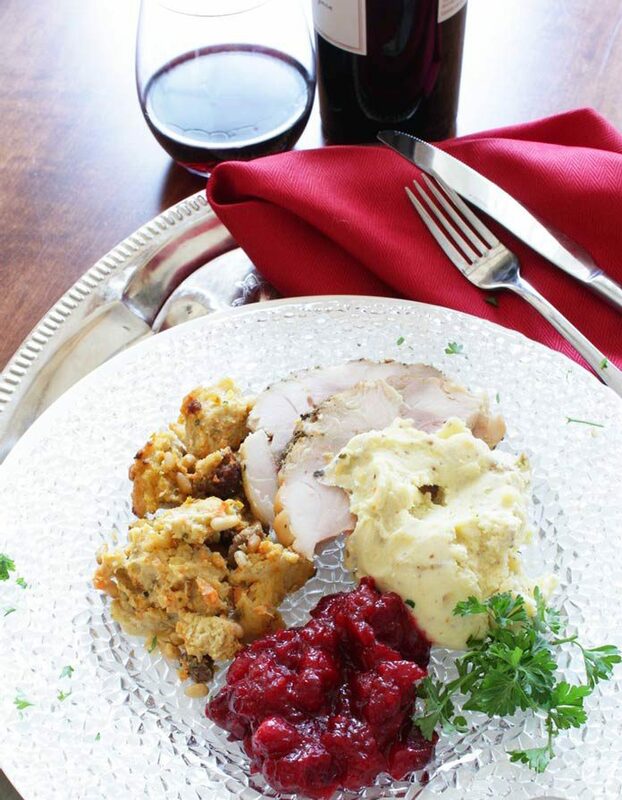 A boneless turkey roast is a great option when you don’t want to cook a large whole turkey. 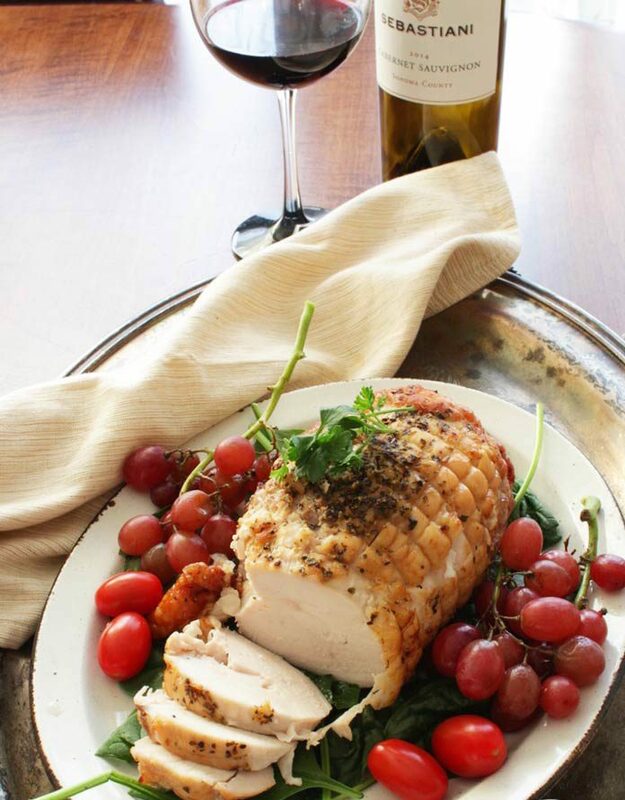 This boneless turkey roast from Butterball is 3 pounds, the perfect size if you’re cooking for one or if you’re cooking for just a few people. Remove roast from package; pat dry with paper towels. Leave string netting on roast. In a small bowl, mix together the basil, oregano, garlic powder, onion powder, salt, and pepper. Stir in the olive oil and make a paste. 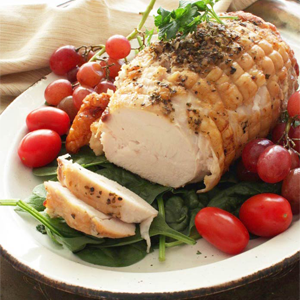 Rub spice mix over the entire roast and place on a roasting rack in a roasting pan. Place slices of butter on top of roast. 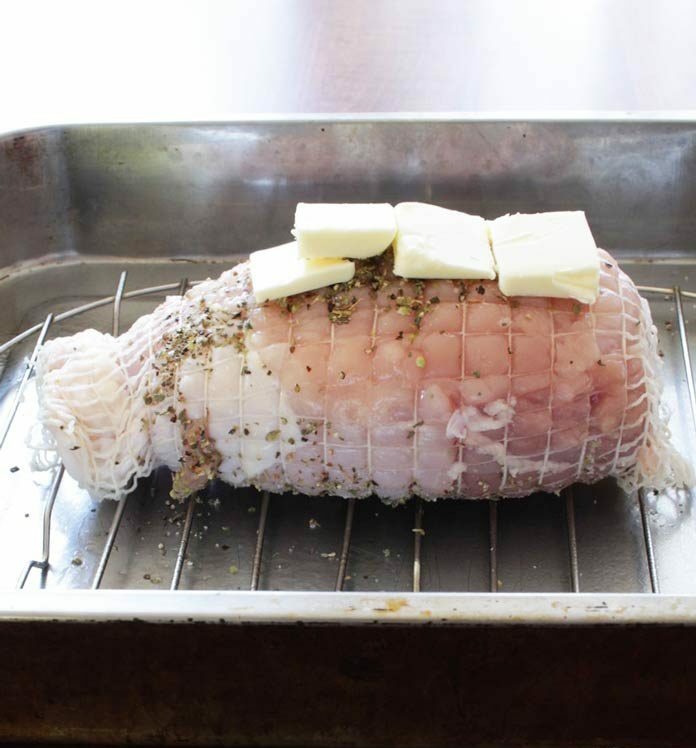 Bake, uncovered for 1 3/4 to 2 hours, or until meat thermometer inserted in center of roast reaches 175 degrees F.
Cover roast with foil and let stand at least 10 minutes before removing string netting and carving.